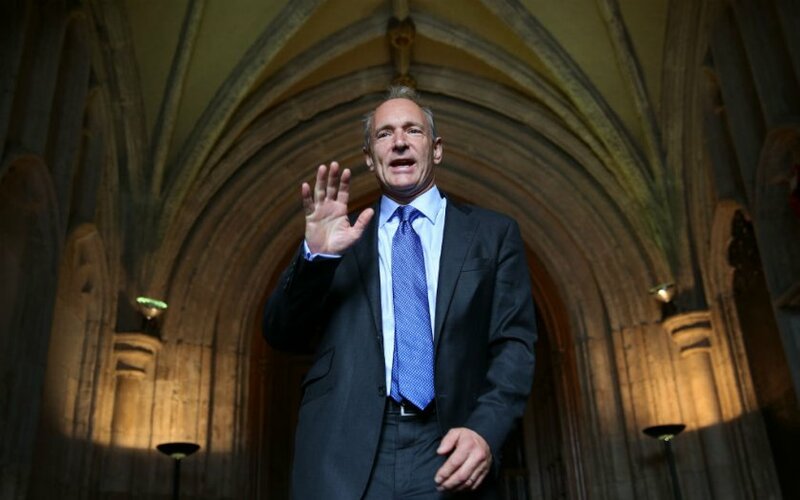 Sir Tim Berners-Lee, the inventor of the World Wide Web, has warned of encroaching government powers after plans for new legislation to monitor communications was revealed in the Queen’s Speech. “There’s never been so much at stake” Berners-Lee told an audience at the Southbank’s Web We Want Festival, where he urged support for a Magna Carter of the web, enshrining a bill of rights for people’s online lives. The government is seeking to introduce new measures through the Investigatory Powers Bill which will allow tracking of Briton’s online and social media use and powers to intercept digital communications, expanding its existing powers. “Can you show us that you can build a system which is accountable to us, where when the security services take the ability to look at private data, they do it in a way where it goes through a court, they do in way so my personal data is not going to be snooped on and when people do have their data snooped on it’s only used in a very serious process of tracking down organised crime and terrorism?” said Berners-Lee. “The discussion [in the Queen’s Speech] of increased monitoring powers is something which is a red flag … this discussion is a global one, it’s a big one, it’s something that people are very engaged with, they think it’s very important, and they’re right, because it is very important for democracy, and it’s very important for business,” Berners-Lee said speaking to the Guardian. The controversial charter has been criticised by digital privacy advocates, however, David Cameron says the new measures will be used to tackle extremism and crime by giving the police and intelligence agencies greater access to online data and information. The original “snooper’s charter” put forward under the previous government and known as the Communications Data Bill, was blocked by the Conservative’s Lib Dem coalition partners. Berners-Lee was joined on stage by Twitter’s UK head of policy Nick Pickles and others to discuss what a Magna Carta for the web would look like, kicking off the festival held at London’s Southbank Centre this weekend.